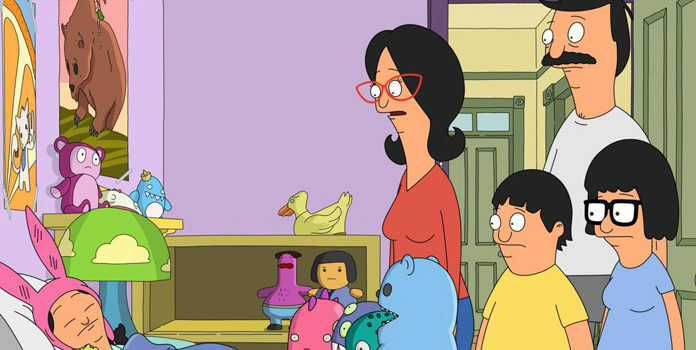 FOX animated comedy Bob's Burgers, which just won its second Emmy, will be producing an animated feature film set for release in July 2020. FOX has announced that a Bob’s Burgers feature film will be released July 17th, 2020. However, no information about the plot has been revealed as of this time. From Bouchard (Home Movies), Bob’s Burgers follows the Belchers, a coastal family of five who own and operate a burger restaurant. The series, debuting midseason 2011, has won two Emmys for Outstanding Animated Program and become a solid syndication performer. It’s the third current FOX animated comedy to receive the film treatment following the Family Guy straight-to-DVD film Stewie Griffin: The Untold Story and 2007’s The Simpsons Movie, which grossed half a billion dollars. Bob’s Burgers airs Sundays at 7:30 on FOX.